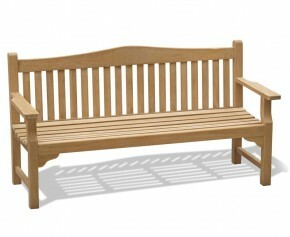 These teak chunky garden benches are ideal for larger gardens and public spaces alike. 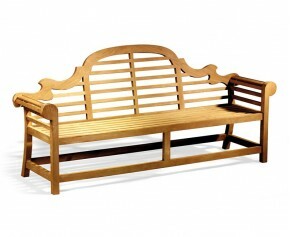 Offering plentiful seating, our large garden benches are as comfortable as they are stylish. 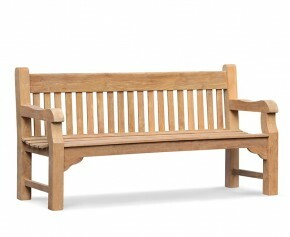 We offer a wide variety of chunky garden benches, from classic Balmoral large garden benches to the more unique tree seats. 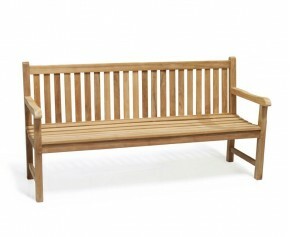 Manufactured from the finest grade-A teak, our teak outdoor wooden benches are extremely durable and are guaranteed long lasting fruitful use. 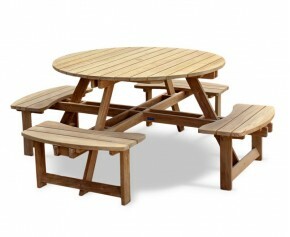 Sit back and enjoy the summer shade with this beautifully crafted teak round tree bench with arms. Offering ample seating for parties and summer gatherings, this stylish round tree bench incorporates the graceful elegance of the tree into the landscape of your outdoor space, creating a stunning focal point that is sure to impress. 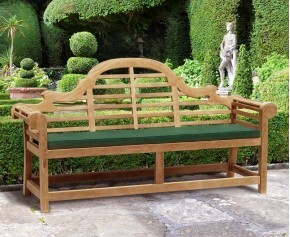 This graceful Princeton chinoiserie bench offers something a little different to standard garden benches, and looks equally stunning in any discerning home or public space. 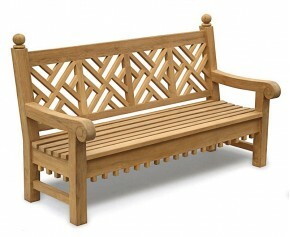 Featuring a unique and stylish decorative design this 6ft garden bench will really stand out and creates an attractive focal point in any outdoor setting. 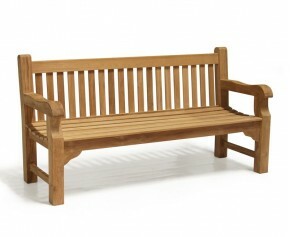 This Ascot teak 4 seater garden bench has been manufactured in the traditional manner using mortise and tenon joints for added durability and adds an element of practicality and style to your garden. Featuring a stylish oval back design, this modern outdoor bench can be left outside all year round, making it ideal for deployment in public areas. 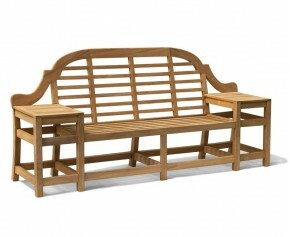 For larger outdoor areas, this stylish, practical and durable Salisbury outdoor wooden bench is the answer. 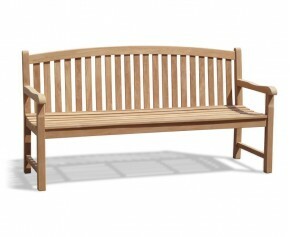 Offering a fine sanded 'smooth to touch' finish, this 2m bench provides plentiful seating for you and your guests during summer gatherings and barbecues. 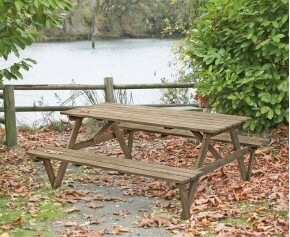 Our stylish, picnic bench is manufactured in heavy-duty A-Grade sustainable teak for long life and aesthetic appeal. 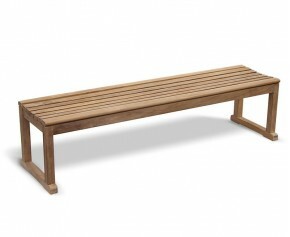 This genuine teak wood garden bench seat is great for dining, relaxing, or other everyday activities. Offering a neat and contemporary look in any garden or outdoor space, this circular half tree seat incorporates the graceful elegance of the tree into the landscape, creating a focal point that people will naturally gravitate to in the garden. 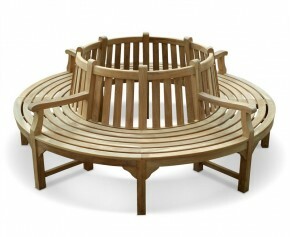 Creating a visually pleasing and comfortable seating solution, this teak circular bench otherwise known as a round circular tree seat incorporates the stylish element of the tree into the landscape of your outdoor setting, creating a stunning focal point that is sure to impress your family and friends. 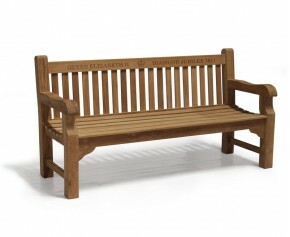 This teak garden bench has been manufactured from sustainable plantation teak hardwood using tight-fitting mortise and tenon joints for strength and durability. 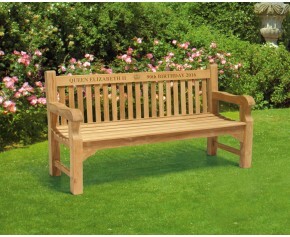 This teak garden bench is particularly suited to use as a commemorative bench because of its deep top rail, allowing more room for hand-inscribed text or graphics of your choosing. Find yourself in the fortunate position of having a lot of free space in your garden? Our chunky garden benches are designed to host your friends and family in spacious luxury without sacrificing strength or comfort. 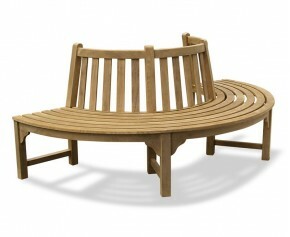 From our use of grade-A teak and high-quality manufacturing processes come these beautifully designed large garden benches that will serve elegantly for decades to come. They’re great for that summer family portrait too!